F.P. 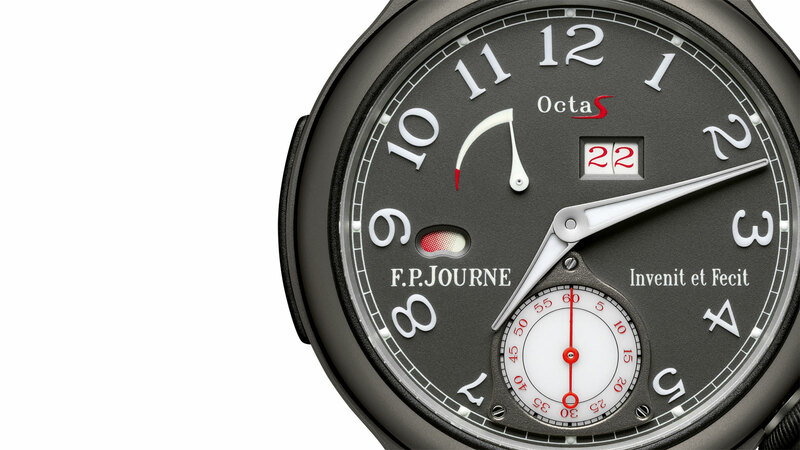 Journe now offers his ultra-light sports watches, for the first time, in titanium, starting with the Octa Sport, featuring a power reserve and big date. And for maximum lightness the movement and dial are made of aluminium. In 2011 F.P. 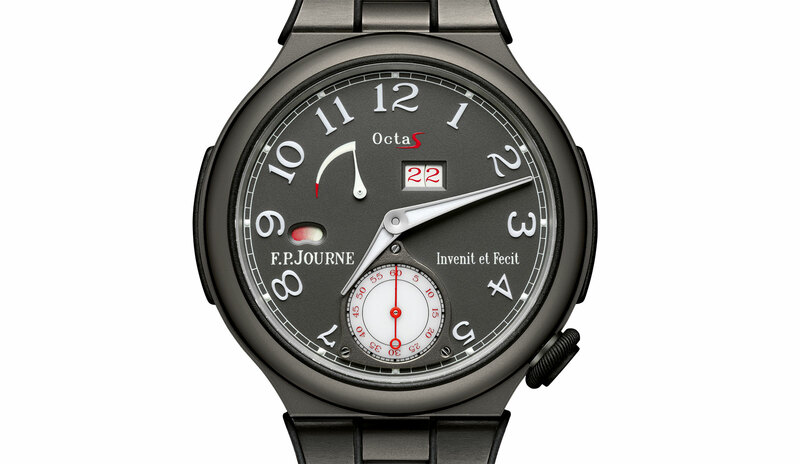 Journe presented his first sports watches made of hardened aluminium. They were incredibly lightweight – the chronograph was just 55 g with bracelet – and a stark departure from the typical timepieces of the brand. Now the lineSport includes the Octa Sport in titanium. Though F.P. 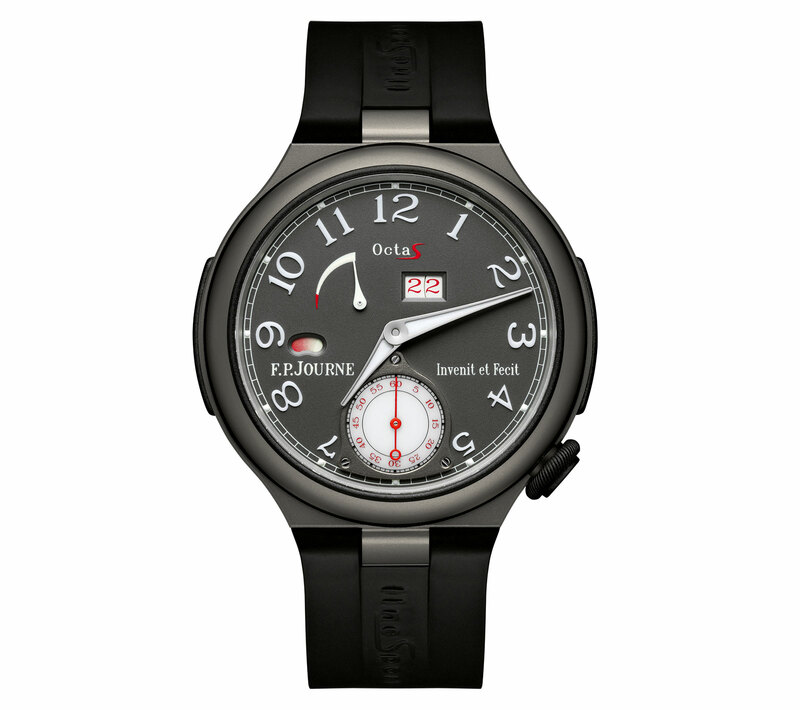 Journe has used titanium for the cases of certain boutique editions in the past, this is a first for the lineSport. Equipped with the calibre 1300, the titanium Octa Sport is automatic with a five day power reserve. It has a power reserve indicator, day and night function and oversized date display. The rotor is made of titanium with a tungsten weight, while the bridges and base plate of the movement, as well as the dial, are made from aluminium. Size-wise this is identical to the aluminium Octa Sport, with a case diameter of 42 mm. While this weighs a bit more than the original aluminium sports models, it is still only between 60 g or 70 g depending on the strap option. The Octa Sport is available with a titanium bracelet, retailing for US$32,070, or on a rubber strap for US$27,530.